Your decision to pursue orthodontic treatment is an investment in your future and overall dental health. Selecting the right office that best suits your needs is an essential part of that decision. At Klein Orthodontics, our entire team is highly trained and maintains the highest standards in the orthodontic field. Our team members are all certified dental assistants and get routinely updated through specialized courses on techniques for all aspects of treatment. We strictly follow the procedures recommended by the American Dental Association for sterilization and infection control, to assure your health and safety. In a warm and caring environment, our office has the specialized equipment, facilities, and team to address all of your orthodontic needs. The administrative staff serves various roles in our office. Gina, the Mt. 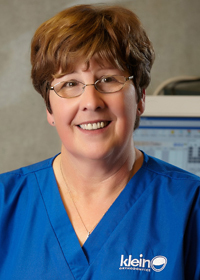 Vernon scheduling coordinator, has been with the practice since 1993. Rhonda, the Salem coordinator, started in 2005. They are friendly, fast, and seasoned in multi-tasking skills. 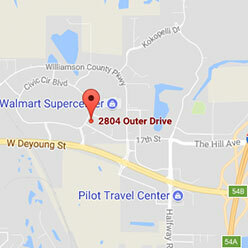 Their goal is to schedule your orthodontic visits with as little impact to your busy schedule as possible. Our financial coordinator, Debbie, is always there for your financial concerns. 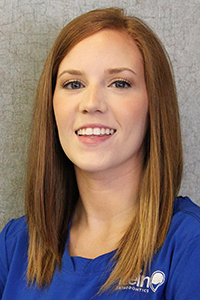 Her main goal is to make your financial experience at our office as easy and convenient as possible. 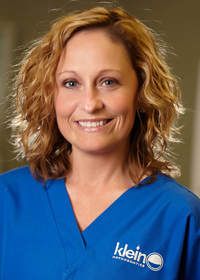 Gina has been with the practice since 1993. 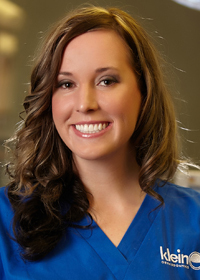 She is motivated to make sure our patients are comfortably and completely accommodated throughout their care at Klein Orthodontics. Her interests outside the office revolve around her children and grandchildren. She also likes playing Yahtzee, watching “Big Bang Theory,” and singing along to the Band Perry. Gina’s favorite treats are vanilla ice cream and chocolate candies, and she feels nostalgic for white go-go boots. 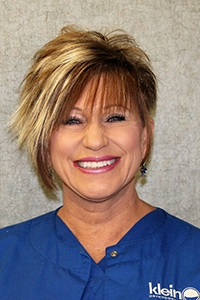 Rhonda started with Klein Orthodontics in 2005. The things that make her laugh the most are anything her grandkids say or do. She also loves playing Rook and riding rollercoasters! If given the opportunity to have coffee with a celebrity, she’d be more than happy to let her granddaughter, Karley, take her place and meet Luke Bryan. Debbie loves her family and spends most of her free time with them and her friends. Her song of choice for karaoke night is “Love Shack” by The B-52s, and she’d love to watch Dr. Chris and Dr. Brian perform “Girls Just Want to Have Fun” by Cyndi Lauper. The most daring thing Debbie has ever done was to go up 14,000 feet into the mountains outside of Denver, Colorado; she did it even though she’s afraid of heights! Patty and Shelley are our treatment coordinators. They assist Dr. Klein and Dr. Brian in obtaining vital diagnostic information at the initial examination. They will walk you through each step of the enrollment process while you become part of our practice. Because they are familiar with all aspects of the office, both clinical and administrative, they can clarify any orthodontic concerns you have and help with finding the best payment option for your individual situation. 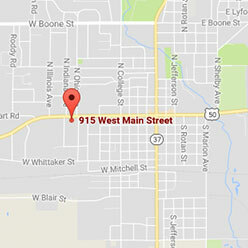 They are committed to making you feel comfortable as you become familiar with our office. Patty does everything to the best of her ability for God and self. She is dedicated to her husband, kids, grandkids, and the rest of her family. At karaoke night, Patty will be the one singing “I Want to Hold Your Hand” by the Beatles. The most daring thing she’s ever done was ride a 4-wheeler up a rock mountain at Land Between the Lakes on her 50th birthday: She almost fell back down! Shelley’s parents are her heroes and the ones who taught her to trust her conscience. Her kids are guaranteed to always make her laugh. Shelley’s karaoke favorite is “Me & Bobby McGee” by Janis Joplin. While she would love to meet Jimmy Fallon for coffee, she’s already met Ben Stiller, Steve Buscemi, and Garth Brooks! 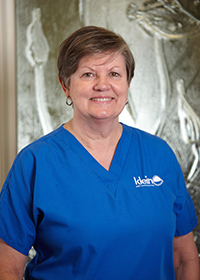 Our clinical assistants have over more than 40 years of combined clinical experience. They are highly skilled in performing many detailed and technical procedures to aid the doctors in moving your teeth into proper alignment. 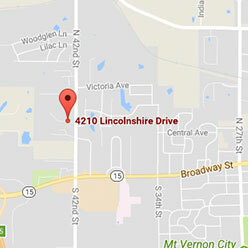 They pride themselves on their knowledge of orthodontics and their skills to speed your treatment along. They remain current with the latest technologies and trainings offered by SureSmile®, Invisalign®, Damon™ Smile, and the American Association of Orthodontists, to help you achieve your beautiful, healthy smile. Diana’s family is her motivation to work hard. Her goal is to provide a comfortable life for them while setting a good example to live by. Her husband, kids, and work family all make her laugh on a daily basis. While Diana won’t be singing at karaoke, she’d love to hear Dr. Chris and Dr. Brian perform “Shake It Off” by Taylor Swift. Her most daring adventure was parasailing with her sister: She loved it! Janalynn was blessed with three heroes in her life. Natalie Backstrom helped raise her to be the person she is today. Sheila Gump, her aunt, let her practically live at her house on the weekends. Finally, Vickie York is the best mother-in-law ever. Janalynn would love to have coffee with Ellen DeGeneres, the one person she considers to be funnier than herself. The most daring thing Janalynn has ever done was jumping off the cliff at Current River. Kristi loves her family, including her parents and two sisters, as well as her nieces and nephews. They are always able to make her laugh. 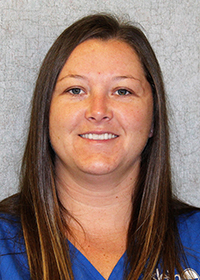 Kristi will be more than happy to perform “Summer Nights” from “Grease” at karaoke, and enjoys playing Uno and watching “Wheel of Fortune.” Last summer, Kristi went skydiving and loved it! Jessica considers her heroes to be her parents, her in-laws, and her grandparents. She works hard for her children, Eli and Maddox, and is motivated by her husband Michael, who can always make her laugh. 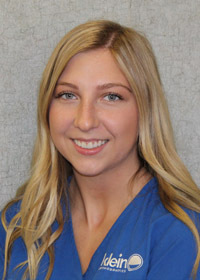 Jessica’s favorite karaoke song is “Uptown Funk” by Bruno Mars and she would pay to watch Dr. Chris and Dr. Brian perform “Baby” by Justin Bieber. The most daring thing she’s ever done was bungee jumping! Katie’s heroes are Jesus, her family, and her friends. 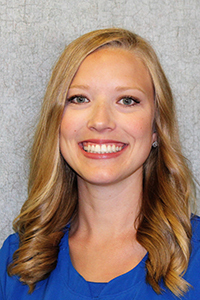 She works hard because she wants to make a difference in our patients’ lives and likes supporting her coworkers, too. Katie’s favorite karaoke song is “12 Days of Christmas,” she has an awesome sense of humor, and tells the best cheesy jokes! In fact, she wishes that velour tracksuits would come back into fashion! While Katie likes Mexican food, her favorite meal is mint chocolate chip ice cream. The most daring thing Katie has done: she’s ziplined! Hannah’s heroes are her parents. 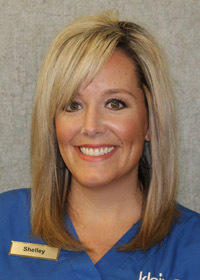 She loves helping patients feel good about themselves and their smiles and making sure everyone feels secure during visits. Hannah knows she’s in a position to make people’s days better and brighter and strives to keep people smiling! Her favorite karaoke song is “Can’t Help Falling in Love” and she loves Japanese and Italian food but is also a bit a picky eater. One of Hannah’s favorite memories is helping fly a helicopter when she was younger! Mandy’s kids keep her laughing and she loves sharing their jokes with our patients. She keeps us organized and is good at making sure we’re all ready to make our patients smile! When it comes to karaoke, Cyndi Lauper’s “Girls Just Want to Have Fun,” is usually Mandy’s choice. Her favorite meal is lasagna and favorite holiday is Christmas. 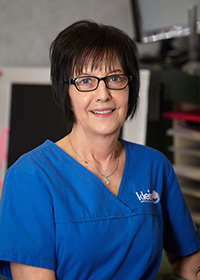 Christy, our lab tech, received her degree in dental laboratory technology from SIU and has been with Klein Orthodontics since 1995. 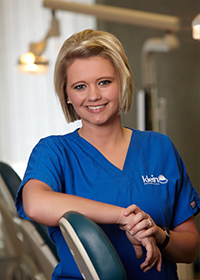 She makes most of our patients’ retainers, as well as many of the other dental appliances. 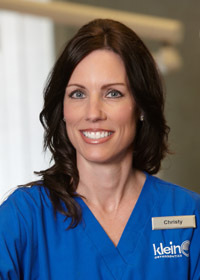 Christy is also responsible for collecting crucial diagnostic records, such as photos, X-rays, and models that aid the doctors in developing your treatment plan. Christy comes from a long line of hard-working farmers, which she learned about when she did her genealogy. She laughs the most when her daughter Emily tries to sing Whitney Houston songs. Seeing Dr. Chris and Dr. Brian perform “Girls Just Want to Have Fun” by Cyndi Lauper would make her day. During an AAO trip to Hawaii, Christy and Denise took a three-hour jungle hike through the rainforest, which was one of the highlights of her trip.